My first stop in Vietnam was Can Tho. in total, I spent three nights there. And frankly, I wouldn’t have spent that much time there, save for the head cold I was fighting. 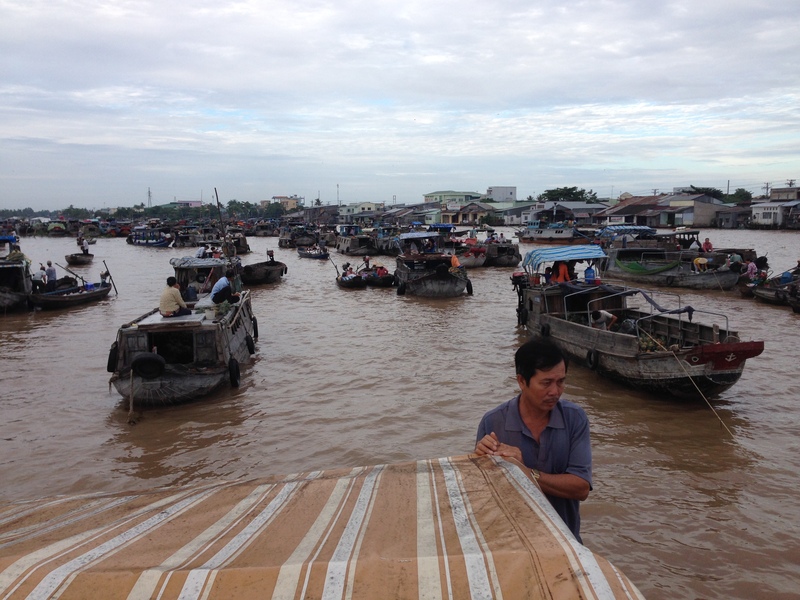 There isn’t a lot to do or see in Can Tho other than the floating market. And for anyone who hasn’t seen one before, they really are a must-do. I publish this first day’s account of Vietnam as an exercise in judging how different first impressions are from well-informed ones. Later on, there will be many follow ups in which I probably retract all my initial observations. 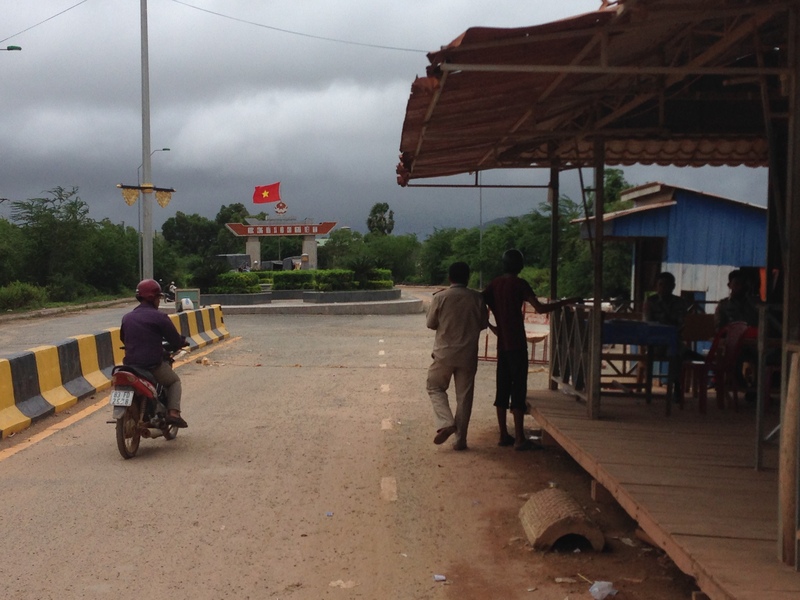 I also want to share with fellow travelers my experiences at this border crossing. First of all, I have to say that Vietnam has impressed me (mostly from the view out a bus window today). I am generally impressed with the infrastructure and the hale, hearty look of the people I saw on my rural journey today. For a country with such a large percentage of its population well below the (government idealized) poverty line, most everyone appeared happy and healthy.